LONDON — West Africa’s biggest oil exports to Asia in almost two years are threatened by competing Russian supply and new refineries capable of processing cheaper crude from the Middle East. Shipments from West Africa to Asia will average 1.92-million barrels a day next month, the most since February last year, according to estimates by seven traders and an analysis of loading schedules obtained by Bloomberg News. The surge shows how Nigeria and its neighbours are succeeding in finding new markets after a slump in sales to the US, where domestic output rose to the highest in almost a quarter century. West Africa’s expanding sales to Asia are already under threat. Russia is moving closer to making China its biggest market after Rosneft, the country’s largest producer, agreed to supply Chinese buyers for as long as 25 years. The new refineries being built in Asia can handle the heavier and cheaper crude grades shipped from the Middle East, potentially displacing demand for the lighter and more costly crudes supplied from West Africa. "West and North Africa will have to continue looking for new markets in Asia but the new refineries in those markets are made to run either the heavy sours or heavy sweets," said Olivier Jakob of Petromatrix, referring to the oil’s sulphur content. "It will be more difficult for African producers of light sweet crude oils," said the MD of the Zug, Switzerland-based consultancy. African nations also face competition from elsewhere. While the US prohibits the export of most crude grades, it is instead shipping record amounts of diesel and other refined-oil products. Weaker demand for West African cargoes may lower the premiums paid for Nigerian crudes relative to benchmark Brent, which have risen to the highest in at least two years. Nigeria gets about 80% of government revenue from oil. The official selling price of the country’s Qua Iboe crude for November loading was set at $3.50 a barrel more than Dated Brent, the European benchmark, according to state-run Nigerian National Petroleum Corporation. Premiums for some of the nation’s grades such as Bonga and EA are at five-year highs. Rosneft signed an agreement in Beijing last week to supply China Petrochemical Corp with 200,000 barrels a day for 10 years from 2014. The Moscow-based company and China National Petroleum Corp signed a 25-year supply accord in June for about 360-million metric tons of crude, valued at about $270bn. 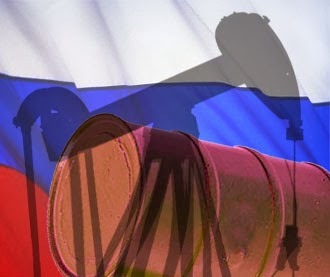 The deals imply that Russia would export 600,000 barrels a day to China from 2015, increasing to 800,000 barrels a day by 2018, according to JBC Energy. Asian crude imports from countries in the former Soviet Union will rise 20% by 2017, from 1.9-million barrels a day, the Vienna-based research company said in a report last week. Any drop in West African sales to Asia may be offset by increasing demand from European refiners, who are contending with declining North Sea and Russian supplies, said David Wech, an MD at JBC Energy. UK oil production in June was 10% lower than a year earlier, government data show. Asian crude demand probably will keep rising as economies expand, potentially diminishing the effect of competing supply from Russia. The region consumed 29.78-million barrels of oil a day last year, 35% more than a decade earlier, according to data from BP. The Chinese economy, the biggest energy user, will gain 7.3% in 2014, compared with global growth of 3.6%, the International Monetary Fund estimates. The US, previously one of the biggest buyers of Nigerian oil, cut purchases because of the surge in production from shale reserves. The nation’s daily imports of Nigerian crude averaged 134,000 barrels in August, the lowest since February 1985, according to data from the department of energy. The US shale boom is a "grave concern" for Africa because it may lead to a glut in global oil supplies, Nigerian Oil Minister Diezani Alison-Madueke said on May 17 in a lecture at Oxford University in England. US exports of diesel and other refined-oil products reached a record of 3.79-million barrels a day in July, 21% more than a year earlier. Angola, which sends more than half of its oil exports to China, will pump 1.94-million barrels a day next year and 2.03-million in 2015, from about 1.86-million barrels this year, the International Energy Agency says. Asia’s imports of West African crude will either remain stable or decline in December and January, according to eight traders surveyed by Bloomberg News this week. Four of them expect imports to weaken and four said they will remain at the pace set in November. Refinery capacity in China, the biggest oil consumer after the US, will grow by 7.3% to about 660-million tons a year in 2014, state-owned China National Petroleum Corp estimates. That is equal to about 13.3-million barrels a day. Companies including PetroChina, China Petroleum & Chemical and Sinochem Group will start about 1-million barrels a day of new refining capacity next year, compared with 340,000 barrels a day this year, according to China International Capital Corp. Refiners in India boosted purchases of West African crude for loading in the second half of this year because of supply disruptions in Libya and Iraq, according to an October 29 survey of three officials at state-run processors in the southern Asian nation. Libya’s crude output fell to 300,000 barrels a day on average last month amid protests, the lowest since the uprising in 2011, data show. India’s refining capacity will rise to more than 6-million barrels a day by 2017, from 4.3-million now, with expansions including the Paradip and Kochi plants, according to Petroleum Minister Veerappa Moily. "Almost all Chinese and Indian refineries coming onstream in the next few years will be state-of-the-art refineries," said Ehsan Ul-Haq, a senior market analyst at KBC Energy Economics in Walton-on-Thames, England. The plants "will use heavy crudes as a feedstock".